Get your holiday cards to stand out from the rest this year! 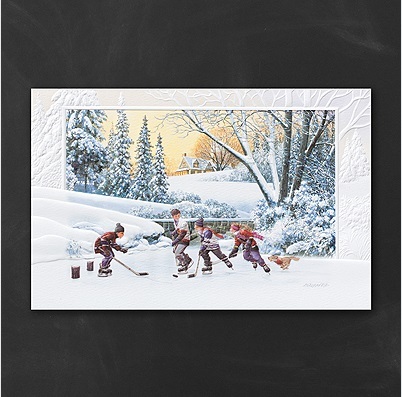 Choose one from our large selection of Elegant Christmas Cards from Pumpernickel Press. Each holiday greeting card available printed with your personalized information available to order online. With an extensive collection of artist painted designs, finding the right one will be easy! View all our our customized business holiday cards. Additional Personalized Embossed Holiday Cards you might like!